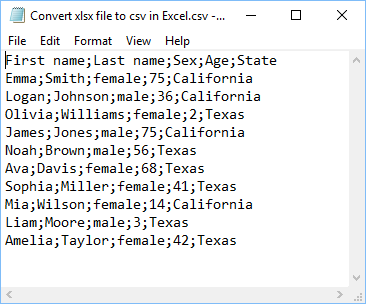 The CSV (Comma separated file) is a great way to store data. You can open CSV files in a simple editor because they are stored as text. This format used in many applications as an alternative way to exporting and importing data. Copy the following example into the Excel sheet (cell A1). Go to File >> Save As >> Browse and choose CSV (Comma delimited) (*.csv) and save the file. There are a few options when it comes to CSV format. 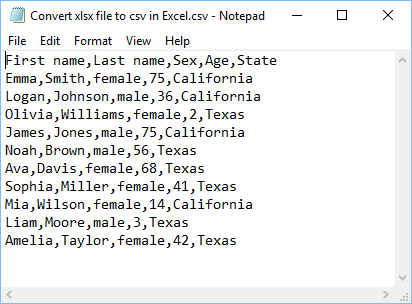 CSV (Comma delimited) – This format works with Windows systems. CSV (Macintosh) – Use this format if you planning to use your file on the Macintosh computer. CSV (MS-DOS) – This format is used for the older MS-DOS operating system. If you have multiple sheets in your workbook, Excel will ask you whether you want to the active one. You can’t save multiple sheets at once. Click OK.
After this warning, the new one appears, informing you about potential data loss (eg. formatting). In our case, it’s won’t be a problem, so click Yes. If you open your file in Excel, it will look like a normal xlsx file. 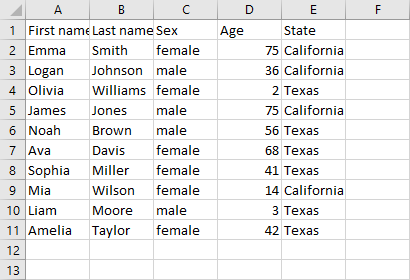 Excel will automatically recognize delimiters and display data inside cells. Try to open your file in a text editor, like notepad, and you have the following data. As you can see, the text is separated by commas. It’s ok, as long as there are no commas inside your text, otherwise, you are going to get messed up results. In such a case, you need to change delimiter. You can’t set the delimiter when you save the CSV file. If you want to choose the different delimiter than the default one, you must perform the following steps. 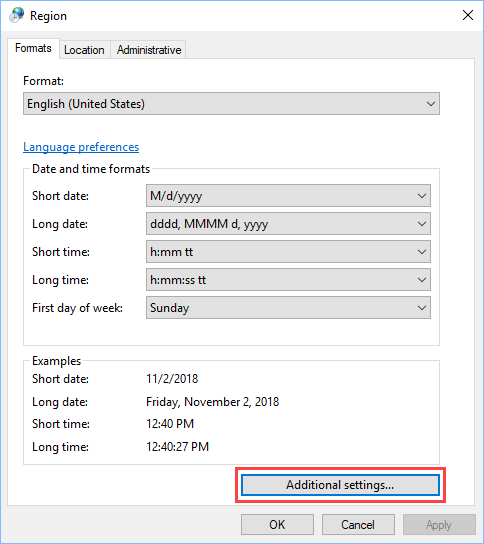 In Windows Search Box, type Control Panel and click the icon. In the next window, choose Region. From the Region window, click Additional Settings. In the new window, there is a position called List separator. Change it to a semicolon and save your excel file as CSV. Now the data is separated by a semicolon.